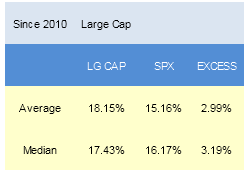 Since 2010, our top scoring weekly has outpaced the SPX by a median 319 bps in the following year. 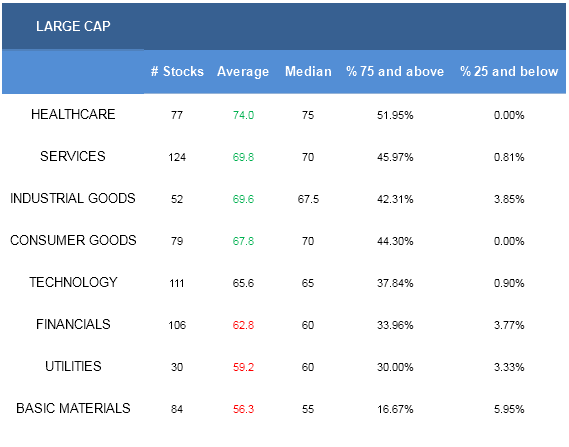 The top scoring large cap sector is healthcare. The best scoring industry is wholesale drugs. 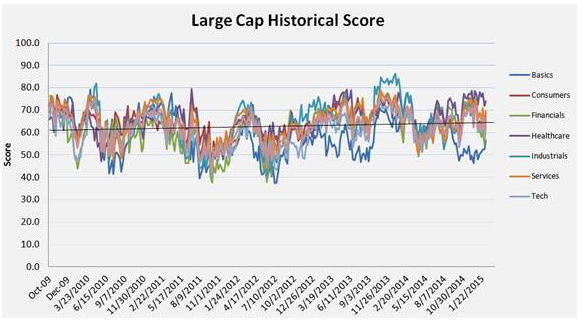 The average large cap score is 66.10, which is above the four week moving average score of 63.82. The average large cap stock in our universe is trading -12.52% below its 52 week high, 2.35% above its 200 dma, has 4.13 days to cover held short, and is expected to post EPS growth of 10.53% next year. The best scoring large cap sector is healthcare. Services, industrial goods, and consumer goods all score above average and can be overweight in portfolios. Technology scores in line with the average large cap universe score. Financials, utilities, and basics score below average. The federal exchange has signed up 7.5 million people for health insurance and 10 million more people are covered under Medicaid than were covered prior to expansion. As a result, prescription volume continues to boost results at drug wholesalers (CAH, MCK, ABC) and drug stores (OCR, CVS, RAD, WBA). Healthcare plans (AET, CI, ANTM, HUM, UNH) also benefit from rising plan enrollment. Aerospace & defense (BA, TDG, RTN, NOC, LMT, HON, GD, COL) stocks score high thanks to DoD budget clarity and rising production rates. 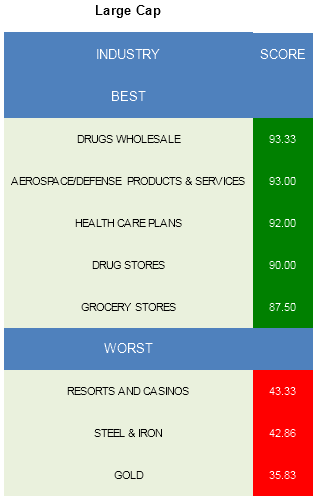 Grocers (KR, WFM) round out this week's best large cap industries. In large cap basics, concentrate on ag chemicals (AGU, CF, MOS, DD) and major chemicals (APD, SHW, ASH). Falling input costs support margin expansion. In consumer goods, own cigarettes (RAI, LO, MO), processed & packaged goods (CAG, CPB, K), and textiles (HBI, UA, LULU, COH). Only REITs (HCN, PSA, VTR, SLG, AVB, BXP, SPG, O) score above average across financials. Every healthcare industry scores above average, led by healthcare plans, medical appliances (ZMH, EW, MDT, SNN), and medical instruments (BDX, BCR, SYK, COO). 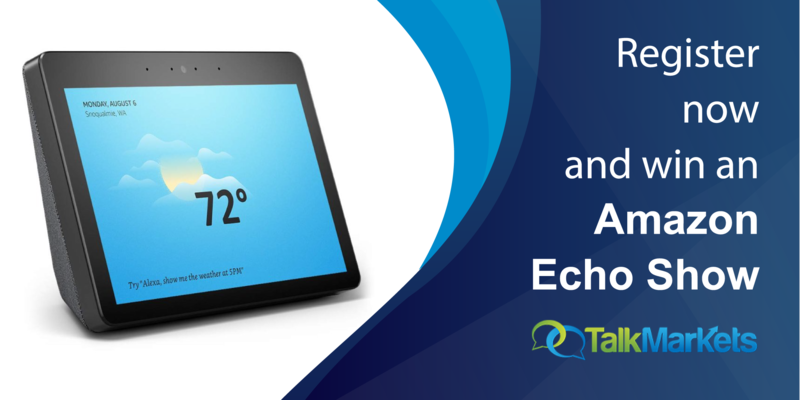 In industrial goods, focus on aerospace/defense and diversified machinery (PLL, ITW, IR). The top services groups include wholesale drugs, drug stores, grocers, and business services (CTAS, V, FIS). Across technology, buy broadline semi (FSL, NXPI, TXN, ADI), business software (DOX, FISV, JKHY), and semi ICs (SWKS, SUNE, BRCM). In utilities, diversified utilities (WEC, NI) are best.